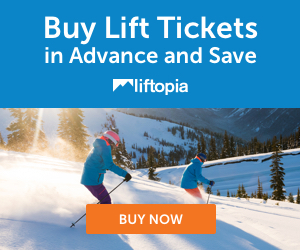 File this under epic 2012/2013 lift ticket deals. Eagle Point Resort in Utah will offer free riding and skiing to every resident in California. No strings attached. All you need to provide is ID and an email address. The good news gets better — during every Thursday in January, anybody can ski for free at Eagle Point. The resort owners cited the successful model of the Las Vegas casino resorts as an inspiration for the Free Days campaign. “By owning or controlling all of the restaurants, services and rental properties around the resort and maintaining low overhead, we have the same advantage as the Vegas resorts. We can give lift access away for free yet still achieve a sufficient yield from our guests on food & beverage sales, rentals, instruction, retail or condo stays.” said Gadbaw. “More importantly, the free admission spurs the first‐time visit. That is all we need because the vast majority of new guests fall in love with the place and go home to tell their friends and family.” Gadbaw added. “Within two years, we have transformed the resort from an abandoned ghost town into our guests’ new favorite resort in the region.” The resort hopes that the Free Days campaign will encourage first‐time guests to visit and continue building the resort’s fan base.